The heartache you will feel if you lose your personal data is devastating! Once your electronic data is gone it is very hard to replace it so act quickly! 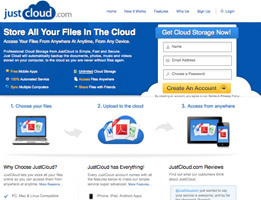 Based in Whitely, Hampshire, United Kingdom, JustCloud has been in the online storage business for several years now. 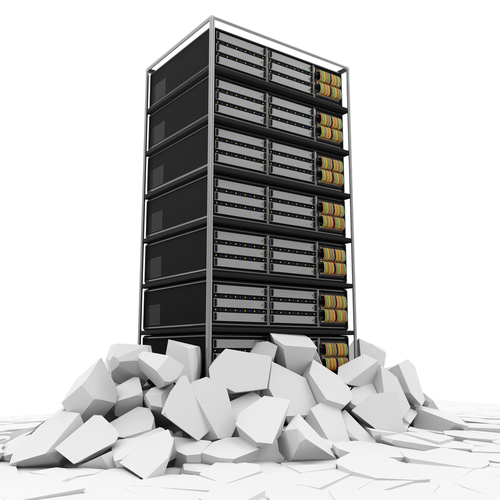 Providing excellent, reliable, and secure storage is their number one focus. By using JustCloud, you can back up any data you have automatically. In addition, you can access your data anywhere you have an internet connection by using the cloud. They provide important backup services online by securing your files in a state of the art facility. Plus, JustCloud developed its own software: it is not just one of those backup service resellers. 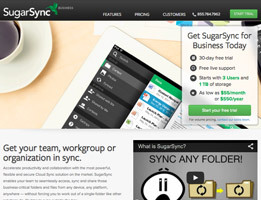 Based in San Mateo, California and launched in 2008, SugarSync’s customer base numbers in the multi-millions. To bring cloud storage and other services to their customers, companies like France Telecom-Orange, Lenovo, Korea Telocom, SanDisk, and BestBuy have chosen SugarSync as a partner. Using all of your mobile devices and computers, SugarSync allows you to sync, back up, share, and access all of your music, photos, movies, and documents wherever you are. 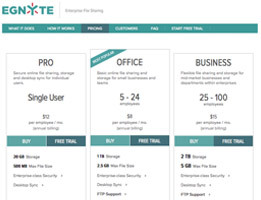 By securely connecting any storage to any device, Egnyte has taken cloud sharing to a whole new level by adapting it for businesses. From their headquarters in the Silicon Valley of California, the Egnyte Hybrid Cloud is not trying to break “data gravity.” It can work with local and cloud data to make sure files can be shared and accessed in-place. That is why over 30,000 businesses, including The Home Depot, Fender, Lexmark, and Ikea, rely on HybridCloud. Livedrive’s vision is unique and refreshing: don’t store files on your PC, store them on your Livedrive instead. Think of Livedrive as your own personal internet storage space. It’s unlimited, it’s secure, and it will be there forever. First launched in 2008, the company has grown exponentially to become a major player in the cloud storage industry. Rackspace is traded publically on the New York Stock Exchange. They are a global leader in hybrid cloud and they also created OpenStack, which is an open source cloud code that has allowed their cloud services to grow exponentially. If you support the development of open sourced code, then Rackspace may be for you. 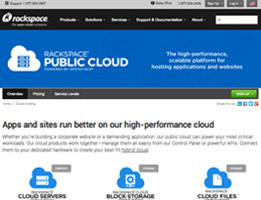 Rackspace is geared towards the needs of businesses or the user who wants to create a total cloud environment. 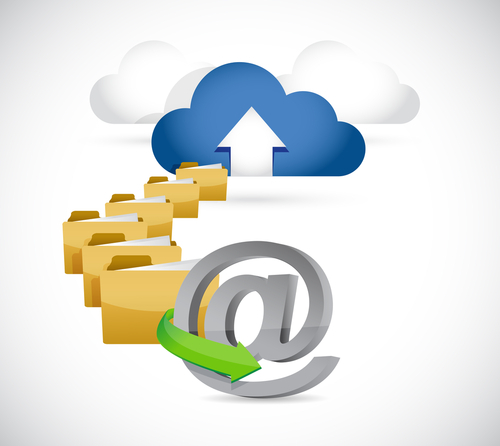 What is an Online Cloud Cloud Storage? 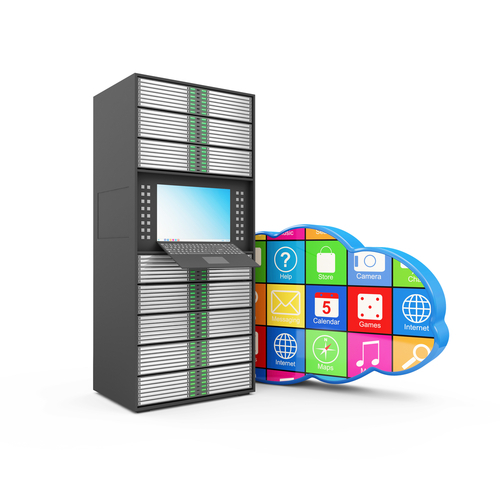 The “cloud” is one name used to describe online data storage. Instead of backing up information on your hard drive on another external hard drive, CD, or DVD, you upload the files to a secure online storage, which you can then access any time. Many people are turning to cloud storage because you can access it anywhere, any time, so if your computer is in the shop, you can still get the files you need, without having to worry about whether or not you have your backup disc handy. 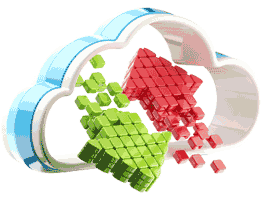 There are several cloud data services available on the market today. While some of them offer storage solutions for a specific type of file, such as photos or music, other services offer storage for any file type. Many services offer a certain amount of storage for free, and others require payment either monthly or yearly, based on the amount of storage space you’d like to have. Some services will offer additional free storage space for completing certain tasks, such as linking your account to your smartphone, or sending a referral to someone else who signs up and starts using the service. Since there are so many companies out there offering cloud data services, it is impossible to produce an all-inclusive list for you – a quick search of the Internet will yield a number of services for you to investigate on your own. Some services will allow you to share certain files or folders with others, which makes file sharing a lot easier. This is ideal in a business situation, where employees telecommute and need to work together on projects to get everything done. You are not required to share all files and folders with others – you can keep whatever information you want private. In most cases, setting up your cloud storage takes only a few minutes. You’ll first create an account with the service you want to use, and send payment if necessary. Payment usually doesn’t occur until either your free storage space is exceeded, or your free trial period is finished. From there, you will download software that allows you sync files to and from your computer to your cloud storage account. Then, you’ll run the software whenever you want to add files to your cloud storage. Many vendors offer automatic backups of certain files or folders on your drive, that you can set with whatever frequency you’d like. When you need to restore something to your computer from the cloud, you simply open the cloud software, or visit the cloud vendor’s website and sign into your account. This way, if you are ever in need of a file at a computer that doesn’t have the software installed, you can still access what you need. 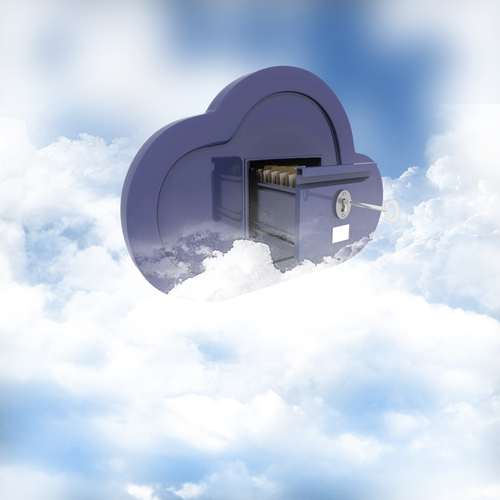 Cloud storage is a great way to protect your data. All hard drives will eventually fail, so having information backed up is always a good idea. If you are ever the victim of theft or natural disaster, your backups will remain secure because they are stored off-site.